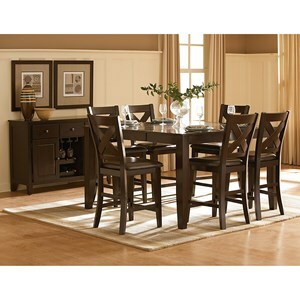 Pair wine and concealed storage with your dining room when you bring home this transitional style dining server. The dining storage piece features dedicated space for you to store and show off your wine collection as well as convenient wine glass storage directly above. On either side of the wine storage is a door so you can keep china on hand for dinner parties or holidays. Above are three spacious drawers that allow you to keep silverware, or whatever else you see fit, organized and out of site. 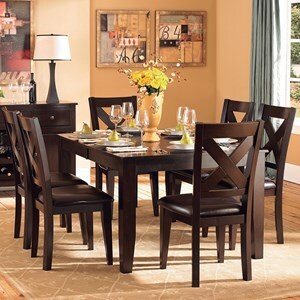 Combine the ample and varied storage with a beautiful transitional look that borrows from modern design trends to complete your dining space with a beautiful look. 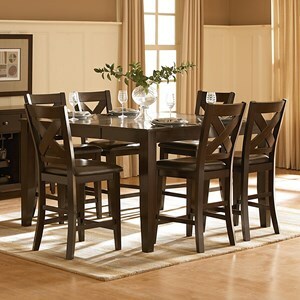 The Crown Point Transitional Dining Server with Wine Glass and Bottle Storage by Homelegance at Hudson's Furniture in the Tampa, St Petersburg, Orlando, Ormond Beach & Sarasota Florida area. Product availability may vary. Contact us for the most current availability on this product. Finish Warm merlot finish over mango veneers. Handles & Hardware Nickel knobs add contrast. Case Construction Table-top constructed of mango veneers. 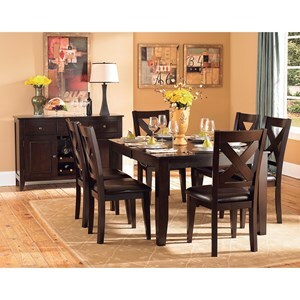 With a grand scale and a transitional style, the dining pieces in this collection are sure to meet your dining needs and impress guests. 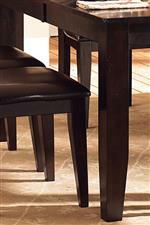 Table tops in the group are constructed of mango veneers and are supported by sturdy and stylish tapered legs. 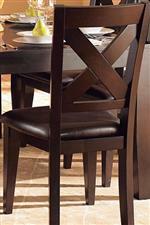 Chairs offer style with an "x" back design and comfort thanks to upholstered leather look seats. 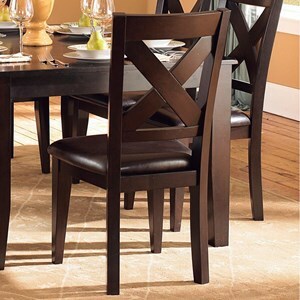 The tables also each feature a butterfly leaf to make hosting a breeze. The Crown Point collection is a great option if you are looking for Transitional Contemporary furniture in the Tampa, St Petersburg, Orlando, Ormond Beach & Sarasota Florida area. 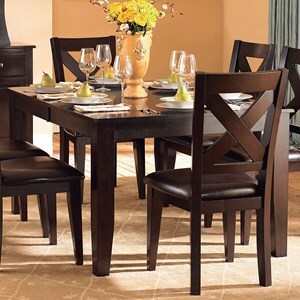 Browse other items in the Crown Point collection from Hudson's Furniture in the Tampa, St Petersburg, Orlando, Ormond Beach & Sarasota Florida area.